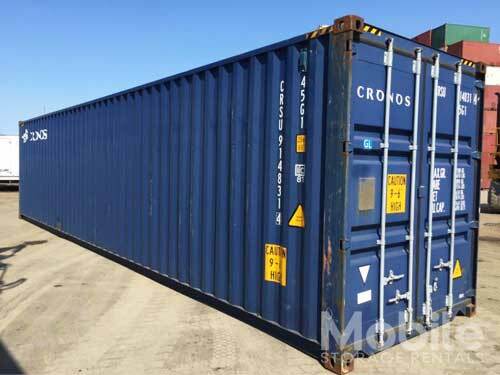 We have a full range of shipping containers for sale in 10ft, 20ft and 40ft sizes. These containers are the standard for shipping goods around the world. Weather tight and rodent proof, these containers are a great solution for storing equipment or your personal belongings. See details below. Get a Quick Quote or call us today! 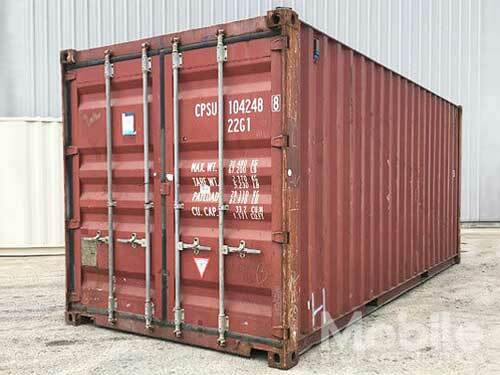 Our new 20ft standard shipping containers are the highest quality containers on the market, manufactured to strict ISO standards and are the Global standard for shipping goods around the world by ocean, train, truck, or inter-modal container. Other brands cannot make this claim. A new shipping container in Canada is called a “one tripper”. It may have a few minor visible scratches or dents due to the one trip overseas. 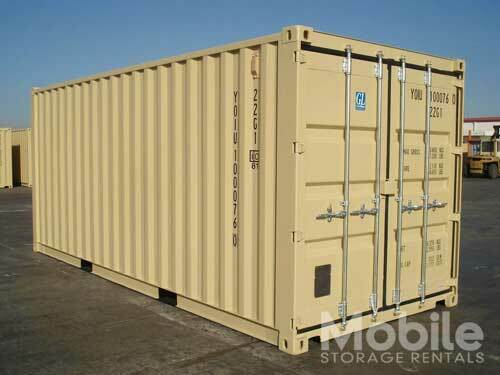 We believe that a new container is the Best Value for your money and overall customer Satisfaction. Our 20ft used Shipping containers are wind and weather tight. These units are great for adding to your Square footage of storage space for your home or your business. 40ft standard (8’6ft H) and 40ft high cube (9’6ft H) can be a great way to expand the floor space at your business by storing the goods you don’t need on the floor safely and securely in a portable storage container. 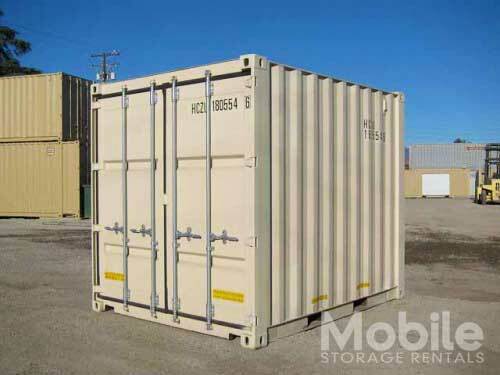 Mobile Storage rents and sells premium quality new and used shipping containers. 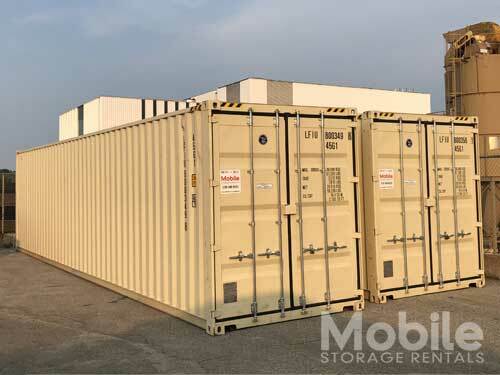 Whether for your home or business, a shipping container is a simple and cheap way to get extra storage space. Fill out your information and we will get right back to you. Please indicate your city and if you need to store your container or delivery directly to your new location.